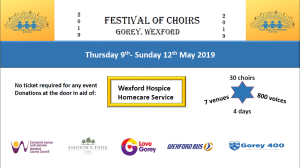 The Festival of Choirs will take place in Gorey from Thursday 9th – 12th of May 2019. 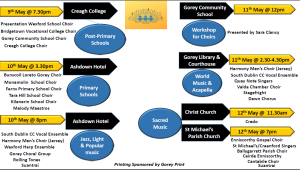 The Festival will run over 4 days with 25 Choirs consisting of singers ranging in ages from 4 to 80 preforming in 5 different venues around Gorey. 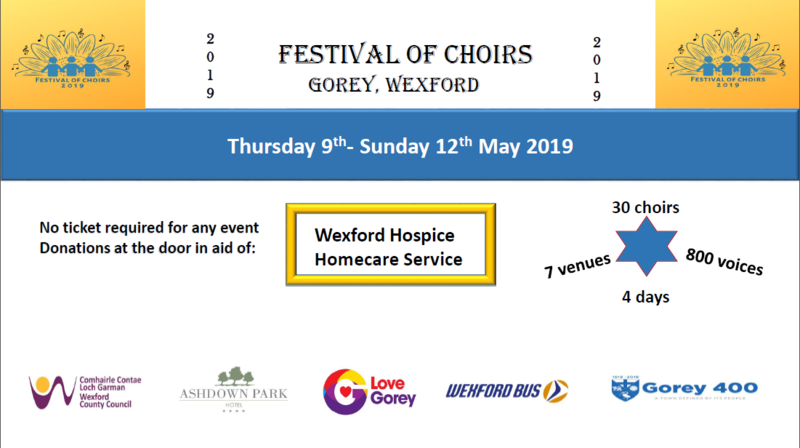 The aim of the Festival are to fundraise for the Wexford Hospice Homecare Service and for Choirs to come together to sing and socialise in a non-competitive event. 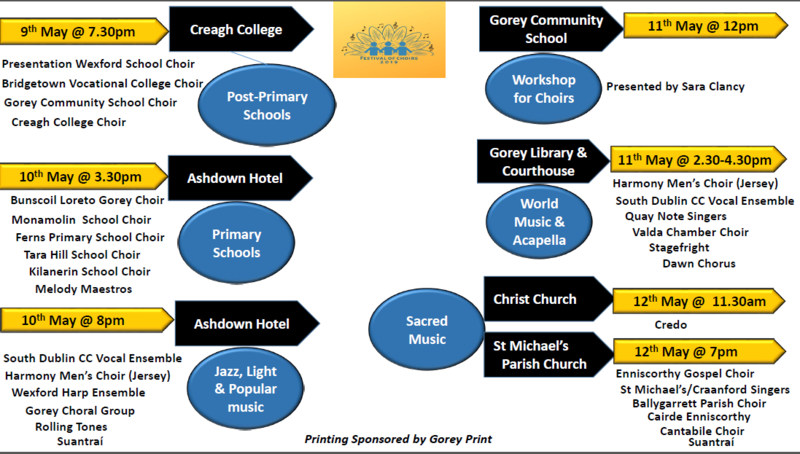 On the 10th May the Festival will also incorporate a Gala Concert to celebrate Gorey 400. 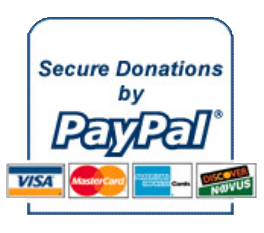 There are no tickets required for the events, donations will be taken at the door at all venues for the Wexford Hospice Homecare Service.